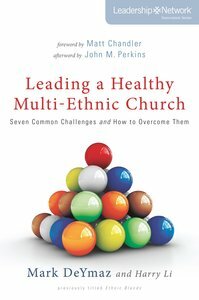 About "Leading a Healthy Mulit-Ethnic Church (Leadership Network Innovation Series)"
Harry Li is the Campus Pastor of Mosaic and came on staff in 2002, when the church was six months old. Prior to that, he was an Associate Professor of Electrical Engineering at the University of Idaho where he taught for 10 years. Harry and his wife, Melanie, reside in Little Rock and have three daughters, Anna, Katie and Meredith.